The single biggest happening that irreversibly altered the international modern cricket landscape was (of course) the introduction of the T20 Indian Premier League (The IPL) in April, 2008. That person being Lalit Modi. Modi was a man with somewhat of a murky past from his time as a college student in the USA. Years later he had worked his way into such a position on the BCCI where he ‘could become part of the Indian Cricket Board and make revolutionary changes from within’ (Bose). Modi started by targeting Dalmiya. In 2005, Modi got himself elected as one of the vice-presidents on the BCCI. Then he formed a partnership with a Government minister named Sharad Pawar. This was after Pawar had defeated Dalmiya’s selected candidate for a place on the BCCI. Finally, when Dalmiya was implicated in a misappropriation of funds issue and ousted from the BCCI, Modi and Pawar were close at hand. Modi had already long surmised that ‘he could beat even the money man Dalmiya when it came to selling cricket’ (Bose). And he was to later tell Bose: ‘At that point in time the BCCI made 20 to 40 million dollars. I changed the marketing structure, changed the way we did business and the BCCI today (as of 2012) is locked in contracts of six or seven billion dollars’ (Bose). (watch B McCullum’s innings for Kolkata from 3.00”). What is really interesting is that the BCCI only gave Modi the green light to launch the IPL because they got nervous about the launch of another competition- the Indian Cricket League (The ICL)- the dreaded league that saw out Shane Bond’s all-too-short international career and where Chris Cairns and Lou Vincent ended up in a mountain of strife. Mihir Bose tells of how Subash Chandra of the Zee TV network was so frustrated at being unable to secure the rights for televising cricket that it as he who set up the ICL in response. When the BCCI realised this, they told Modi to go ahead with his creation as quickly as possible. Modi likely finally went with a 20-over per side format as there was a newly-discovered appetite for it after India’s unexpected T20 World Cup win, and crucially because the time it took for a typical T20 game fitted in perfectly with peak evening Indian viewing habits. Modi’s original idea was for something like an inter-city 50-over league. Bose explains that the start time and duration (at 8pm and around 3 hours) was the same as for the usual night-time Bollywood feature movies. Only now it was cricket that was attracting the massive TV audience, with the Bollywood stars among the franchise owners. And if not that, they were conspicuously in attendance at the matches. Whether T20 is your cup of tea or not, that first few weeks of the IPL launch must have been an incredible time in India. And Modi did apparently risk a sizeable amount in getting it off the ground in the first place. Such was its runaway success that even after the 2008 global financial downturn, the following year Modi negotiated a mega $1.6 billion deal with Sony for nine years of coverage. In fact, by its third season the IPL had ‘an increase of 20 million viewers (on 2009), with advertising revenues already up by 60%’ (on 2008)- Bose. It was the nature of its instant wealth creation among all involved that made the IPL such a huge game-changer across the cricket world. It, heaven forbid, messed up the beginning of the previously inviolable English county cricket season. And so powerful was its financial allure that international players told their countries that they would have to wait for them to join their countries’ test match squads. It was still cricket alright, but not as anyone had ever known it. First Lord’s relocates to Dubai, and now this. The remaining traditionalists in English cricket must have been left choking on their jam scones. India’s influence across international cricket from 2008 to now cannot be overstated. To use an analogy, for about the last decade when ever high-ranking Indian officials have said ‘Jump’, the rest of the cricket world has generally responded with ‘How high is the cliff we should leap from?’ You couldn’t sum it up much better than a pundit called Venkat Ananth did in 2014: ‘If the ICC has become a commercial juggernaut over the past two decades, it has the BCCI to thank for it. BCCI brings in the money that runs cricket globally. In return, it gets what it wants- power’. As an example, India was always suspicious of the accuracy of ball-tracking technology and ‘hot spot’ within the DRS (Decision Review System) which has characterised modern cricket. After some controversies with the system during their tour of England in 2011 (where incidentally, they were demolished in the Tests and one-dayers), the BCCI decided they could no longer agree to its use in a bi-lateral series. A fair few in the know argued however that the BCCI’s rejection of the DRS was never exclusively down to issues about its accuracy. There was a bit more to it. Venkat Ananth quotes the influential Australian cricket writer Gideon Haigh as saying, ‘It was the means by which the BCCI made it clear that the game will be played under the terms that satisfied them and they reserved the right to say no to whatever they didn’t like’. It was seen by some as a barely disguised play for power. And the BCCI knew they themselves were now the new country in control of world cricket. Modi’s outrageously big success, the IPL, had put the rubber stamp on it. It was precisely a case of: ‘A tour by the Indian cricket team is the most sought after among every cricketing nation, thanks to the television money it generates for the host board…Besides, they also earn good profit through gate receipts, thanks to increased attendances from the Indian diaspora’ (Venkat Ananth). The BCCI certainly weren’t shy in admitting they were now top dog, either- Ananth quotes from James Astill’s book ‘The Great Tamasha’ (‘tamasha’ roughly translates as ‘a commotion’ or ‘spectacle’), where Astill quotes former BCCI Secretary, Niranjan Shah as plainly stating ‘For cricket, the only market in the world is India. The market is here. So we will control cricket, naturally’. All of the above is basically an overview (a protracted one at that- 15 hours worth, never again- but don’t completely rule it out, either!) And it strongly relies on referencing- especially from Mihir Bose’s wonderful book- which I have already explained. In writing it, it has left me with a good general understanding of how things shifted and came to be. For instance, I had no idea about the huge influence of Jagmohan Dalmiya on the financial side. And as an aside, it was stunning to learn he had taken over his late father’s construction company…at the age of nineteen. Unreal. What it shows is that when the Indian national obsession of cricket was stirred in with a mix of the nation becoming a significant, rising economic power, it seems almost inevitable they would become the dominant political and economic juggernaut of world cricket. 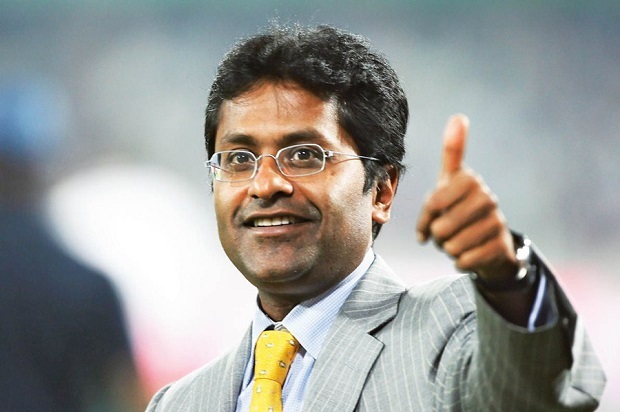 Lalit Modi’s hugely popular and successful IPL in the country probably just hurried things on about ten years or so. Because when you look at the past history of cricket in India right from as far back as the 30s and 40s, it has always had a strong financial side to it. Major banks, companies and even railways became the major ‘provincial’ teams and supplier of test cricketers. Money was never far from the forefront of influence, one way or the other. Go back to that quote of Mihir Bose’s at the start of the second piece of this series (1991 etc); it’s about all you need to know of how money found cricket. Further, just how important is cricket in India? Within Bose’s ‘The Rupee Takeaway’, there is a quote that goes along the lines of: ‘Cricket is the only thing that truly unites the Indian nation’. If you want to get much, much deeper into all that transpired, there is a book that came out last year, ‘Eleven Gods and a Billion Indians’ by the noted historian Boria Majumdar. The chapter about the beginning of the IPL is called ‘Billion Dollar Baby’- a great play on words of the movie starring Hilary Swank and Clint Eastwood. Around a hundred years ago, the first genuine Indian star of cricket, the ‘Prince’ Kumar Shri Rannjitsinhji reiterated that men shouldn’t be paid for playing cricket (a thought that should be taken with a grain of salt as Ranjitsinhji was basically feted around Europe, and was well-known for extravagant spending sprees). Mihir Bose quoted him as saying: ‘Men ought not to get incomes out of games. They ought to be so employed that their means of livelihood is also a benefit to their fellow men and to society’. Next story Steven Adams, All-Star?